Con piacere segnaliamo le giornate di studio organizzate da Francesco Rossi, “Traduzione letteraria e transfer italiano ↔ tedesco”, che si terranno a Pisa nei giorni 9-10 marzo presso Sala Formazione di Palazzo Vitelli, Lungarno Pacinotti, 44. L’obiettivo delle giornate di studio è approfondire diversi aspetti (stilistici, culturali e legati alla Werkpolitik) relativi alla traduzione letteraria e al transfer italo-tedesco seguendo il modello dei Descriptive Translation Studies (Theo Hermans), che configurano il tradurre come un processo di produzione testuale transculturale definibile, prima ancora che sulla base di norme prestabilite, attraverso l’esame delle poetiche traduttive individuali. Ci si propone di mettere in luce le peculiarità che contraddistinguono l’attività traduttiva di singoli autori sul piano storico, stilistico e poetologico, muovendo da precisi casi di studio. I contributi verteranno su esempi di traduzione eccellenti o particolarmente significativi dal punto di vista letterario, senza limiti cronologici o di genere, da sottoporsi a vaglio critico e metodologico. Durante i lavori sono previste relazioni alternate a momenti di discussione e confronto. La partecipazione al convegno è aperta a tutti. 15.00 Saluti. Introduzione ai lavori. 17.15 Anna Antonello (IISG, Roma) Piaghe che frizzano e capelli scoppiettanti. Lavinia Mazzucchetti e Ervino Pocar traduttori di Joseph Roth (1936-1969). 09.45 Elena Polledri (Università di Udine) Gli “Infiniti” leopardiani nella lirica tedesca del Novecento: traduzione o contrafactum? 15.45 Philip Stockbrugger (Università di Pisa) “Endimiro, Oder Printz Kalloandro”: la fortuna del più celebre romanzo barocco italiano in Germania. Siamo lieti di annunciare l’uscita della call for paper per il secondo numero di Odradek, che sarà dedicato al tema “The Quarrel between Poetry and Philosophy” e curato da Danilo Manca e Alessandra Aloisi. When in Book Ten of The Republic Plato proscribes poetry from the city and refers to a long-standing quarrel between poetry and philosophy, he raises an issue that has since made its mark in the history of Western thought. The aim of this call for papers is to delve deeper into the original meaning of this quarrel, to evaluate the implications it has had for the Western way of thinking and writing, and to explore the different forms the quarrel has assumed, between poetry and philosophy, between literature and philosophy. Plato’s treatment of poetry looks as resolute as ambiguous. Plato claims that the mimetic art is essentially an imitation of imitation. Accordingly, the work of art is a mere copy of the ideal model that nature already reproduces. Art is therefore seen as twofold far from the truth, whereas philosophy is the love for truth. Nevertheless, this does not hinder Plato from expressing his philosophical arguments by means of dialogues and myths. Could this ambiguity be solved? Is poetry, in Plato’s view, just an extrinsic aspect that the philosopher has at disposal to have a talk with the ordinary people, namely with the men who are still in the cave? Or, rather, is poetry a fundamental dimension belonging to philosophy itself? Throughout history of Western thought many thinkers took a position on the Quarrel. For instance, Hegel claimed that Plato’s mode of representation belongs to an earlier stage of the concept’s development. By contrast, by employing the notions of “dichtende Vernunft” and “dichtende Denken” respectively, Nietzsche and Heidegger endorsed the idea that philosophy is essentially connected with the poetic production, that is with Metaphernbildung. 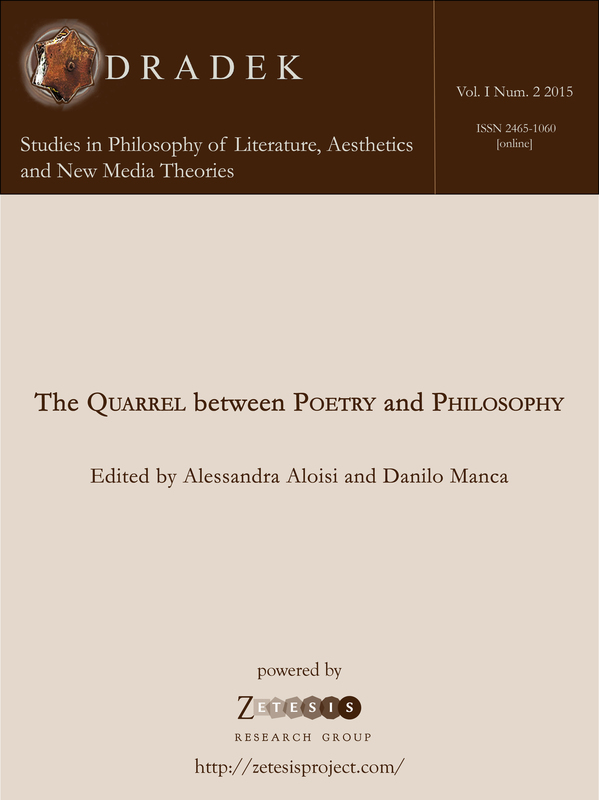 Another way of understanding the Quarrel is to consider philosophy one of the tools the poet and the writer employ in order to reflect upon their artistic activity. Philosophy plays an important role in the compositional activity of the poet: such role would consist in making possible a meta-literature, that is, a poetry whose point at issue is its own nature. Examples of this are Schiller’s “sentimental poetry”, Schlegel’s “transcendental poetry”, and Borges’s “intellectual poetry”. 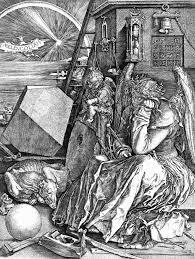 Thus, what is at stake in the quarrel between poetry and philosophy is the distinction between myths and logos, thinking in images and thinking in concepts, between the picturing and the inferential arguing, between the imitation of and the reflection upon reality. To what extent could the poet’s activity be distinguished from the philosopher’s one? To put it in Aristotle’s terms, what does it mean to say that poetry is more philosophical than history because it deals with the universals? And, consequently, what is the relationship between the universals used by philosophy and the ones used by poetry? In Phaedo, Socrates admits to have often been suggested in dreams to cultivate the art of the Muses. Even though he had always taken it to be an exhortation to do philosophy, only at the end of his life he understands that he was required «to compose myths, not simply to elaborate arguments». On a similar note is Giacomo Leopardi who claims that the greatest poets are also philosophers (e.g. Omero, Dante and Shakespeare) and that the greatest philosophers are poets (e.g. Plato), since imagination is an essential component of poetry as well as of philosophy. Thus, if poetry and philosophy are activities that stand on the same footing, one may argue that Plato’s thesis against art and poetry, far from dealing with the problem of truth and its representation, has nothing but a political meaning. By banishing poetry from the polis that is ruled according to philosophical principles, Plato was trying to prevent a free circulation of words and discourses that may divert bodies from their social and intellectual destination. As Jacques Rancière would put it, the reason why Plato himself told stories and invented myths was to justify a hierarchical order and to provide a foundation for a distribution of knowledge and positions which has no foundation itself. From this point of view, the “ancient quarrel” between poetry and philosophy, between falsehood and truth, appears to be nothing but the expression of the never-ending quarrel between equality and inequality, between democracy and hierarchical order. Not differently from philosophy, poetry is a way of using language and of “making” the truth; in other words, a way of thinking and of organizing reality that can rival the one that philosophy promotes. Consider otherwise the political issue in Strauss’s terms: the genuine quarrel between philosophy and poetry is not concerned with “the worth of poetry” as such, but with the order in which philosophy and poetry should be ranked. According to Socrates, poetry is legitimate only as ministerial to the user par excellence, namely to the king who is a philosopher, and not as an autonomous enterprise. In this sense, the greatest example of ministerial poetry would be the Platonic dialogue because of its capacity to present the non-philosophical life as ministerial to the philosophical one. Any philosophical and/or poetic experience which has nourished and/or questioned the distinction between imagination and thought, myths and logos, and so on. Any political aspects entailed in the Quarrel. The distinction between verse and prose as decisive or not to distinguish poetry from philosophy. Languages: English, French, German, Italian, Portuguese, Spanish. Questo pomeriggio attraverseremo la letteratura europea dal Rinascimento al Novecento. La melancolia sarà attraversata in diverse suoi metamorfosi e come è detta e descritta in diverse lingue. Si parte! Questo pomeriggio alle ore 15 presso l’Aula Magna al I piano del Polo Carmignani (Piazza Cavalieri, 6) si terrà la prima sessione del convegno “Melancolia. Metamorfosi dell’umor nero”. Il compito di inaugurare il convegno sarà affidato al Prof. Maurizio Ghelardi che parlerà di Melencolia I di Dürer e dell’Istituto Warburg, quindi di quello che ha significato la lettura dell’incisione ad opera di Fritz Saxl, Erwin Panofsky e Raymond Klibansky, poi confluita nel testo Saturno e la melancolia. Seguiranno due interventi che discuteranno sul modo in cui il tema della melancolia è stato affrontato dalla filosofia antica e da quella moderna. Nel suo contributo intitolato Fisiopatologia dell’umor nero nel pensiero scientifico antico, Michela Santangelo parlerà della teoria dei quattro umori nel Corpus Hippocraticum e nel pensiero aristotelico. Maurizio Ghelardi è ricercatore di Storia della filosofia presso la Scuola Normale Superiore di Pisa. Il suo ambito di ricerca è la storia della cultura e della storiografia dell’arte europea, con particolare riferimento a Jacob Burckhardt (oggetto di un lavoro di ricerca decennale che ha portato il prof. Ghelardi a contribuire alla realizzazione di una innovativa edizione critica della vasta produzione burckhardtiana); allo stesso modo centrale è il suo interesse per l’Istituto Warburg e le grandi personalità che ho hanno animato, e che tanta parte ha avuto proprio negli studi sulla melancolia [Pubblicazione recente: Aby Warburg. La lotta per lo stile (2012)]. Michela Santangelo è dottoranda in Discipline filosofiche presso l’Università di Pisa, con un progetto di ricerca di storia della filosofia antica: Per una storia della rete analogica corpo-anima-città nel pensiero preplatonico. Il suo ambito di ricerca abbraccia la medicina ippocratica e la psicologia platonica e, più in generale, la psicopatologia antica. Santangelo ha infatti conseguito il titolo di la laurea magistrale con la tesi dal titolo La definizione di malattia dell’anima nella rete delle analogie platoniche.